Anna Maria Horner: Gee, thanks Mom! My sweetie-pie Mommy sent me the gorgeous Quilts of Gee's Bend book for my birthday, and I keep getting up from my work to go look at it. It's like a bag a of Doritos being on the other side of the room. Well, better than that. What good timing, too as I was just about to share my scrap bookmarks with you. So in the fabric-saving-and-using spirit, here is my little scrap inspiration for today. * one rectangle of double-sided heavy fusible that is 5/8" smaller in width and 1" smaller in length than the fabric rectangles. I have to admit to not being much of a reader, I never have been. Always more of a skimmer, picture looker through my art books, etc. I do think writing a book (and this blog) has changed that a bit. So I've digested a diverse group of enjoyable reads this summer and I confess to pleasingly pairing up the bookmarks with the bookcovers. Go figure. Something about holding the warm soft fabric in my hand as I read is comforting. Most likely a baby-blankey-memory-thingy. 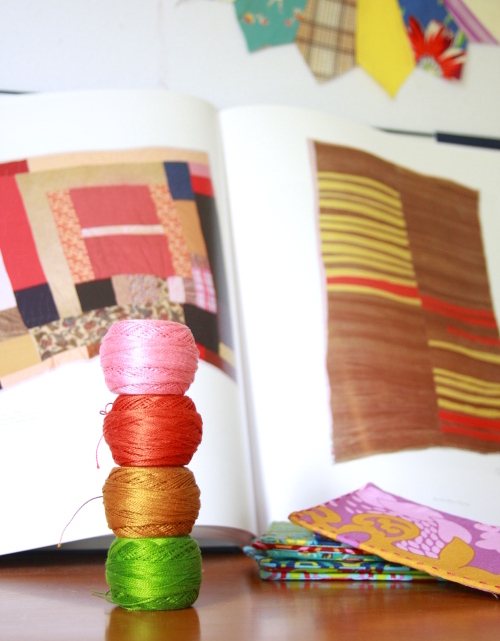 So if you have lots and lots of this, and not the time to make a giant quilt, maybe a little scrappy bookmark will do the trick for now. Oh! Speaking of giant quilts, I finally decided that I needed to say goodbye to that comfy bed here in the studio in favor of a design wall for making quilts (notice a white background in that first pic up there). I know! Sad, right? I hate not having that little luxury in here, but it was the only way to fit in a large open design space that I need. I do think I'll be able to situate a comfy armchair for hand-sewing and reading with soothing bookmarks in hand in it's place. More on all that soon enough! I love those! I'll be linking to them today. I also posted about you on Indie Fixx today. 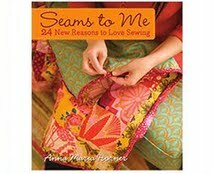 You're my sewing inspiration! I hope you have a wonderful and relaxed birthday! Best wishes! Scrappy happy slap-happy birthday 2 U!!! Eat dessert first and double the fun you usually have (if that's possible)!!!! Have a wonderful birthday and thanks for the fantastic bookmark idea. I am sure I will use it tons! I have that Gee's Bend book as well. The ladies cam to speak at the school where I taught. They are as inspirational as their quilts! Happy Birthday!! Hope it a great one!! Happy Birthday Anna Maria :o) I hope you have a perfect day, cake, and wishes galore. I love your scrappy bookmarks. What a cute and clever idea :o) Take care & have fun! I have to tell you, that I have ordered several batches of your fabrics, lately... and each time I see "more" of your beautiful fabrics that I don't yet have, I end up ordering more........so addictive...like that bag of Doritos! ONLY BETTA! I do have lots and lots of scraps! Happy Birthday! You've given us all a gift - the idea for the bookmarks. What a simple idea made beautiful by such charming scraps. What a great present from your mom! I've seen the Quilts of Gees Bend exhibit - amazing and inspiring. Thanks for the cute scrappy bookmark project. Enjoy a happy birthday! OMG I'm totally hyperventilating over the loss of that sumptuous bed full of colorful pillows!!! You must REALLY need that design space! Happy Bday to one Fabri-licious Mama! Oh, these are lovely! I was browsing my bloglines looking for an activity to do with my kids today. I wanted something that could help them practice with the sewing machine, and the iron, AND back-to-school related! This is absolutely perfect! Happy Birthday to you!! It is my hubby's birthday today too. Hope it is a really wonderful day! How cute and Happy Birthday! 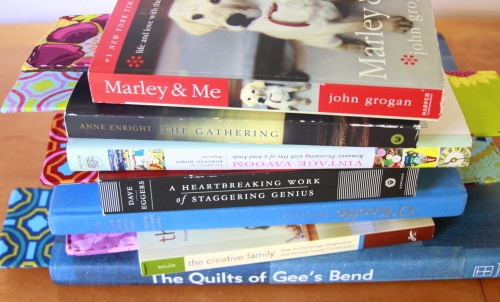 Ps I read Marley and Me and it is quite a good quick read. I hope you enjoy it as much as I did. I left a birthday surprise for you on my blog, so please come on over and check it out! Have a wonderful day and exciting upcoming year!! Happy birthday! Thanks for the scrap idea. My bookmarks always end up hideous, I never thought of putting the interfacing in after I turned them. scrappy birthday! thanks for the wonderful idea, and I love Amber's idea of combining it with a book or gift card! I hope you love a heartbreaking work of staggering genius as much as I do...it is truly my favorite, next to of course pride and prejudice. mmm, love that mr. darcy. I'm whipping up gobs of drawing room pillows at the moment, so thanks for the many gifts you've given us, and many happy returns. That Gee's Bend book is AMAZING! Enjoy it on your happy, happy birthday! Happy Birthday to you!!! What a fun book! I recently got to check out some of the Gee's Bend quilts first hand...they are pretty incredible and very inspiring! what a lovely, simple idea! i'll definitely give it a go! aw happy birthday. yay! dave eggers is my imaginary pretentious hipster literature bf. if you were able to get through it, read AND YOU SHALL KNOW OUR VELOCITY! i liked it better than heartbreaking genius. peace. xox. "White hair"? No, not yet! But "spreding the light of knowledge everywhere"? You definitively do! I have also fallen in love with the addictive gee's bend ladies. Improv quilting is the only kind I have time to do in this season of life. i looove your bookmarks. 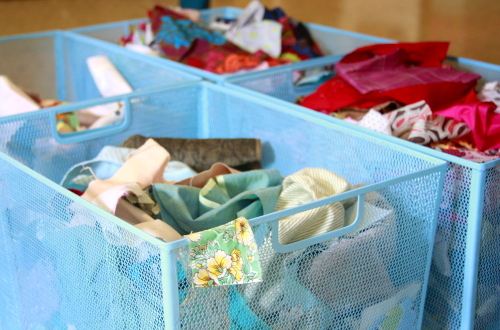 I have jars and boxes and bins of fabric that I am always using for scrappy projects. Thanks for being such an inspiration. Happy birthday! Love how you save all your scraps. I'm a saver myself. Oww...that you have to let go of that sleeping couch with all its beautiful cushions is tough...but you'll find some good replacement, no doubt! Happy Birthday! 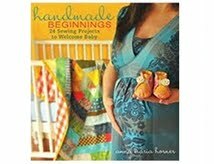 I just wanted to tell you that you have gorgeous fabrics and you are such an inspiration! I took a peak at the pictures of your house, and I think I'm in love! Happy Birthday from Hart's Fabric! We love your fabrics and have customers coming in all the time for them! Have a beautiful day! Happy Birthday to you! The bookmarks are very cute...I have also picked up Marley and Me. It must be a lab thing...too bad I haven't finished it. I hope you have a great day! You should hop on over to Knoxville to see Gee's Bend quilt exhibition at the Knoxville Museum of Art. I think it's there for another month! The perfect craft to do with my daughters this weekend. Thanks, Anna Maria! This is a great idea ! I have about as many scrap bags as you have shown in your post and since I have a few readers in my family( my mom and daughter sometimes read a novel a day!) these will make excellent gifts. Thanks for the inspiration. Wow--time flies, I remember wasn't it last year reading your blog and you were the recipient of a pretty dress for your birthday? Hard to believe it was a year ago! Have a wonderful birthday!! 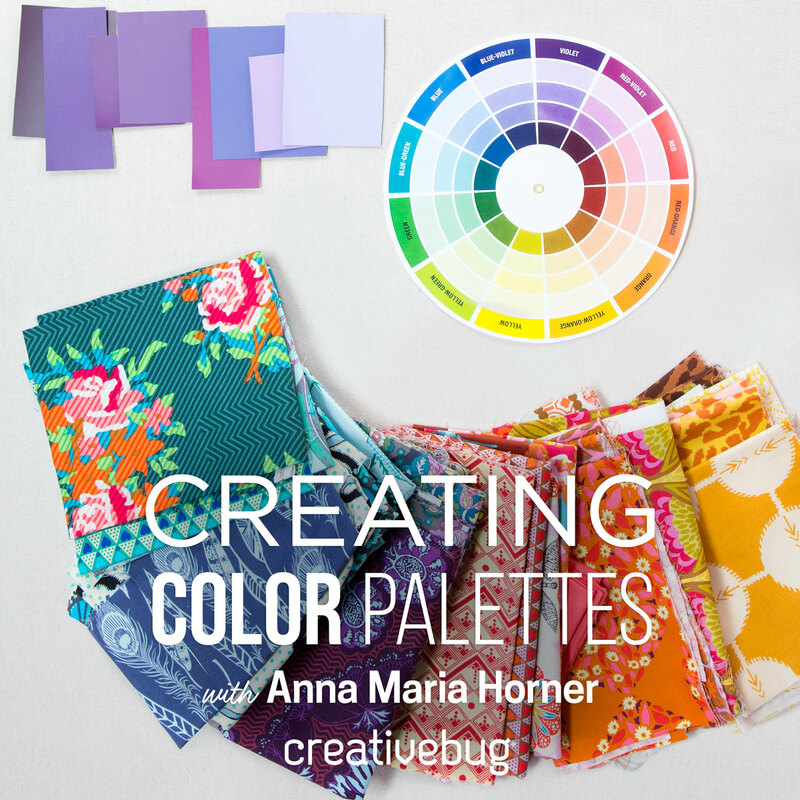 I love visiting and seeing all the colorful inspiration! What a fabulously simple idea! I shall make some immediately. Great blog too. Oh, and Happy Birthday! 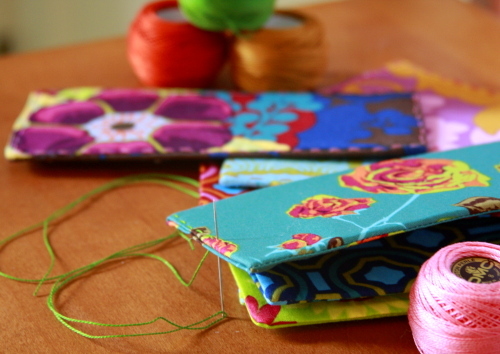 Gee's Bend quilts are a wonderful source of inspiration. I got the book for Xmas and love to look at them at the coffee table. To relax and fuel my creative spirits. I love what you make with your scraps.I have to make some of mine in a little doll quilt before I am allowed to cut into your gorgeous and beautiful garden party fabrics which arrived on Friday. What a wonderful gift to recieve for your birthday. Enjoy! A large squishy chair, a lap blanket, a stack of favorite books and magazines, a little crocheted pillow to tuck in the small of your back, a good reading lamp, and a tuckered out child for your lap. Enjoy the big change. And Happy Birthday! Happy birthday! What lovliness you have to share today! I just adore the beautiful bookmarks you have made! Thank you so much for sharing all of your many talents with us! Happy birthday! I hope you had a very special day. Thanks so much for sharing that gorgeous bookmark (I love bookmarks and fabric, so what a great way to combine them both). 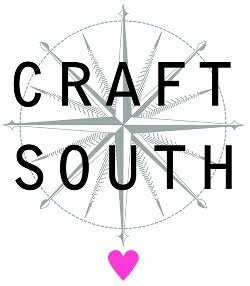 Fantastic blog and love your scrummy fabrics. Your work is beautiful. I've left you something on my blog. Stop by and check it out. I love these little bookmarks. What a great way to use scraps. Happy belated birthday! What an easy and great project! Found you from How About Orange. These are wonderful, and easy. Great tutorial, and beautiful pictures! Your site makes me happy. Linked to this post today! Just wanted to let you know that I linked to this on my weekly roundup (and I'm NOT a spammer - eek!) I also plan to make several bookmarks for my niece for Christmas, so I'll end up linking it on my handmade Christmas post, too. Thanks, and happy Thanksgiving! I updated my handmade Christmas post with pictures of the bookmars I made. Thanks! way,here we offer a lot of good nike shoes,you can come to have a look. and be keeping eyes on it. Online shoe shopping has never been so easy.A one-stop destination for all your footwear needs! Quilts of Gee's Bend is really very nice and smooth. Getting quilt from mom is amazing experience. Thanks a lot for sharing this information. These are really cute! Could I steal a photo so I can link to them from my blog? Are pleased to re-visit your blog, from which I learned a lot of knowledge, and totally agree with your point of view, I hope you can be the exhibitions, once again thank you for sharing such a wonderful text. I will wait to see what's! Thank you!i love advertisement media supplier very much . If she likes chocolate she pandora jewelry would devour them for sure, but once Pandora Bangles it’s over, it’s over! I’ts OK to gift a pack of chocolates Beads Bangles to a teenage girl, but I would not consider Pandora bracelets it a great choice for a woman. Moreover she might be Pandora bracelet health conscious and would not have them with such earnest as you would have thought. And even if she loves them, you would buy Pandora surely not want to contribute to the huge calorie intake and bring in weight concerns. Although many Pandora Bangles Sale prefer gold and platinum, if titanium had been discovered those thousands of years ago, many agree its popularity Beads bracelets would fair well with the others. If only each of us could match such a marked growth as to our quality as titanium has buy pandora bracelets grown in its uses since the time of its discovery. Bamboo. Over the past two bare feet, bare-chested men dressed in baggy pants and scarves from a huge model of a colorful mane son. Wow! It's looking so cute.... really very interesting and informative blog pots found here.... amazing work! just keep it up! Thanks!